Create interesting smoker flavor combinations with this 3pc smoker box. The durable stainless steel box has adjustable slide vents to control flavors. 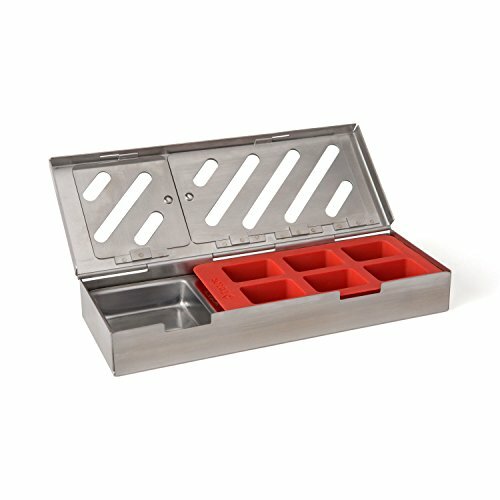 Also includes an insert tray for wine, beer or other liquids & herbs/spices. Always have pre-soaked wood chips on hand by freezing cubes in the silicone tray & saving until needed.